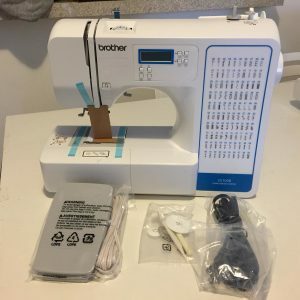 Today, I bring you the review of one of the least popular sewing machines in the market – the brother CE1008 sewing machine. 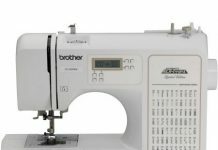 Anyone who’s an expert in the sewing industry would be aware that brother is one of the top sewing machine brands available in the market. Many people have made brother their first and only choice when it comes to sewing machines because they live up to the standard and does what it claims to do – sewing! The best part is that with a brother machine, you learn more than sewing. The brother sewing machine brand is defined by huge stability and small footprint. Hence, right in your home or workplace, you’ll find a ideal place for a brother sewing machine. 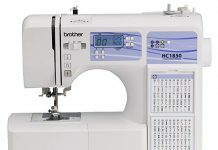 One of the top models of the brother sewing machine in the market is the brother CE1008 sewing machine. It comes with a hundred pre-programmed stitches – much more than what you might ever need. Of those hundred stitches, eight are one-step auto-size buttonholes. 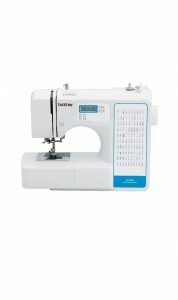 Besides, there are many features that show that the brother CE1008 sewing machine is simple, classic and pretty easy to use. It is perfect for beginners and has a function that makes it the top choice for advanced sewers as well. 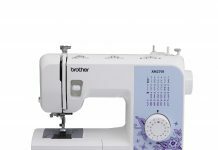 With the top drop-in bobbin, as well as the automatic needle threading system, you can work with ease with the brother CE1008. Also, to chose from the click selection, all you have to do is click. For those who love to sew clothing, there is the freedom of the free-arm. With this, you can make cuffs, sleeves and stitching collars with ease.For those who love quilting as well, there is a 7-point feed dog, a smooth handle layer of fabric. By dropping the feed, you can have some free motion quilting. With the LED light, you can monitor your progress. The brother CE1008 is a useful addition to your home. It is the ideal component for you to just make amend on cloths or construct garments from scratch or even go about simple home decoration projects. There is also an onboard storage box in which you can keep these accessories safe and organized! 100 special built-in sewing stitches. These include 8 styles of 1 step buttonhole, all 8 styles. There is a 25 years warranty on the brother CE1008 sewing machine. To further learn about what the brother CE1008 sewing machine has to offer, here are some of the good points. The sewing machine is very easy to use – It is ideal for beginners and expert sewers. The brother CE1008 sewing machine doesn’t do well on very thin fabrics. This is due to the poor quality of feed dogs. Also, except for the foot pedal, there is no other way to manage the speed of the sewing machine. It, however, gives a maximum of 850 stitches per minute, making it ideal for beginners to have a good time on it. The brother CE1008 sewing machine is a terrific machine that is recommended for everyone – beginner or expert sewers. It is an awesome machine that gives superb versatility with plenty of room for experimentation. Also, you get great value for your money!